He held out a large black rounded lizard towards me. The 30 cm long reptile perched on the palm of this team member from RESTA (Reptile Education Safety Training Australia), occasionally wiggling its body. He was giving me permission to touch it. An adult Shingleback Lizard from Southern Australia. After hesitating for a couple of seconds, I recalled they were harmless berry eaters after all. I stretched my hand to touch it. And no! It wasn’t slimy at all, as I imagined it to be! Simply dry, smooth, and bumpy. The head was hard to distinguish from the tail, rightly called the double headed lizard, just as I had seen it on the television. But this one was shiny black unlike the typical brown and cream colours, a very pretty one I thought. I found myself getting braver and went on to touch the spiky Dragon Lizard and shiny Australian snakes one by one. Being keen on exploring regional Queensland, I knew I had come to the right place. 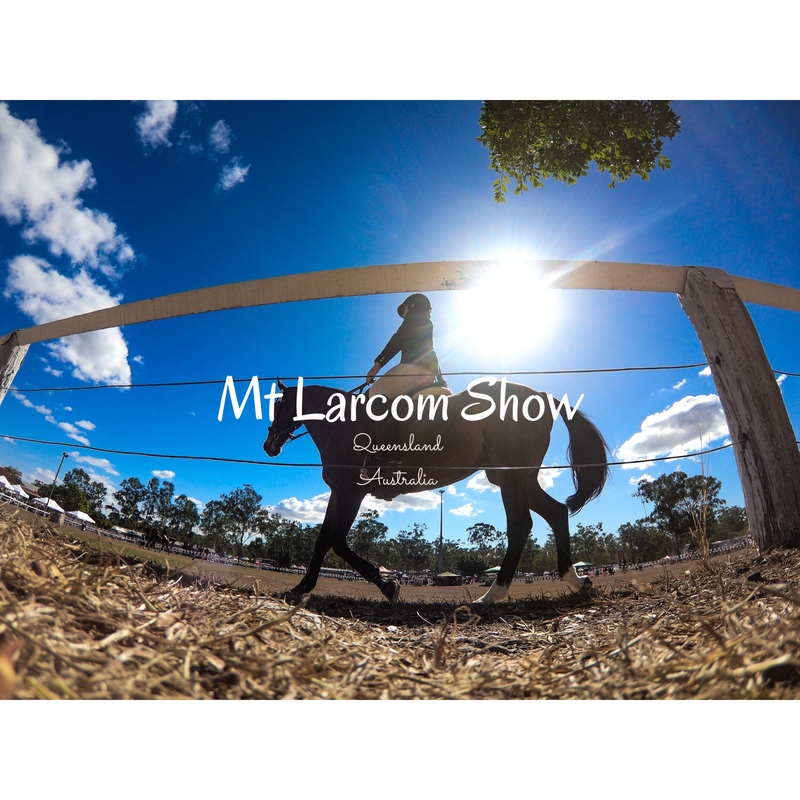 Mount Larcom, a town situated 540Km northwest of Brisbane and 33Km west of Gladstone, hosts the annual agricultural show in the brumal month of June each year. Having moved to Gladstone a few weeks ago, billboards and brochures ensured I descried the upcoming show much ahead of time. Having commenced in 1919, soon after the establishment of the town, they’ve been remarkably determined to host it every year. Nothing could stop them except the world war itself! There was a lapse of 21 years before it once again became an important annual event in their lives. Visitors disembarked in large numbers converging at the gate. Pop-up gazebos sheltered neatly arranged accessories and knickknacks. Ambrosial aroma permeated the air from parked food trucks and caravans selling poffertjes, tornado fries and enticing nibbles, both traditional and from across the world. The showground had come alive with groups of people in hats and sunnies, swarming erratically. Little children with their faces painted in designs and bright colours were drawn towards the Ferris wheel and balloon dart games. Domesticated avian comrades in white, bright blues and greens were placed in the bird and poultry shed, some of whom bagged champion awards. Bovines from far and near, kept in the cattle shed, brought together most cattle breeders on this day. I rambled around trying not to miss anything. Every show, every counter, had a story to tell. Seats around the central arena were taken quickly. Horse events were about to begin. Riders with their horses were still schooling to warm up their horses in the show ring. Ten marked obstacles were arranged around the ground, most of them verticals and a few oxers with two and even three sets of standards. The horses and their riders were going to be scored on their speed and successful jumps. The riders looked gracefully proficient, and the horses, imperturbable. Riders entered the ring one by one mounted on their warmbloods. Each one of them gained momentum with a walk-trot-canter, then a jump. All, so perfectly timed that they made it look so simple. The tack didn’t wear them down one bit. Capturing the jumps mid-air on my camera, I realized how unaware they were of their elegance as they charged to fly across to the other side. Horses have had a complex relationship with men since colonial times in Australia. The review I read on Australia on Horseback: The Story of the Horse and the Making of a Nation by Cameron Forbes, still on my to-read list, talked about how Forbes weaved a 470 paged non-fictional story around equines and Australian colonial history. From bringing in explorers on their backs, instilling momentary fear in the natives, carrying mounted police, becoming war heroes to being great companions, they’ve done it all. It begins with Colt-Starting, a highly skilled discipline. The process of preparing and educating Colts i.e. young male horses in their initial years, is a challenging task. It could take between days to months. Apart from logic, and principles of reinforcement, horsemen claim emotions play an important part in horsemanship. To steal the thunder, Breanna Jayne and her very young trick riding companion occupied the central ring, as upbeat music played in the background. Horses were geared up with trick riding saddles and bright green and pink blinkers that matched their rider’s outfits. I found myself engrossed as they performed fearlessly on a galloping horse, maneuvering their bodies so fluidly, making it seem like a breeze! Flipping, hanging and swinging around in the saddle, it was evident this self-taught trick rider has grown up with horses from a very young age. Her bond with the horse so strong, their communication was quiet, albeit clear, without so much as looking into each other’s eyes. She hung herself upside down strapped with just a leg, doing the death drag, which I thought the Cossacks would be proud of, if they were to be here. Exhibits were plenty, that had flown in from participants- ranging from art, crafts, cakes, plants, birds, cattle, tractors and much more- each, painting a story of what this place stands for. I think I found what I came here looking for- a taste of the country flavour, a glimpse of the traditions of Queensland. Indeed, a very unique experience for me.